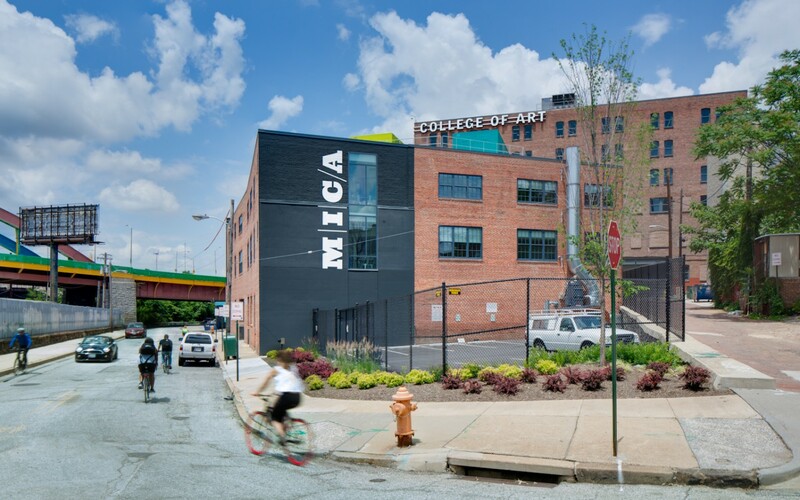 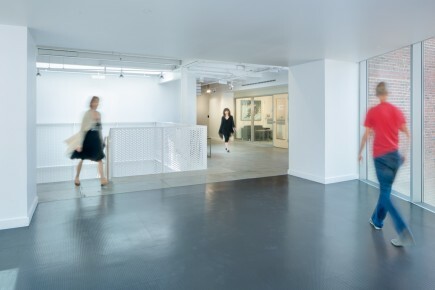 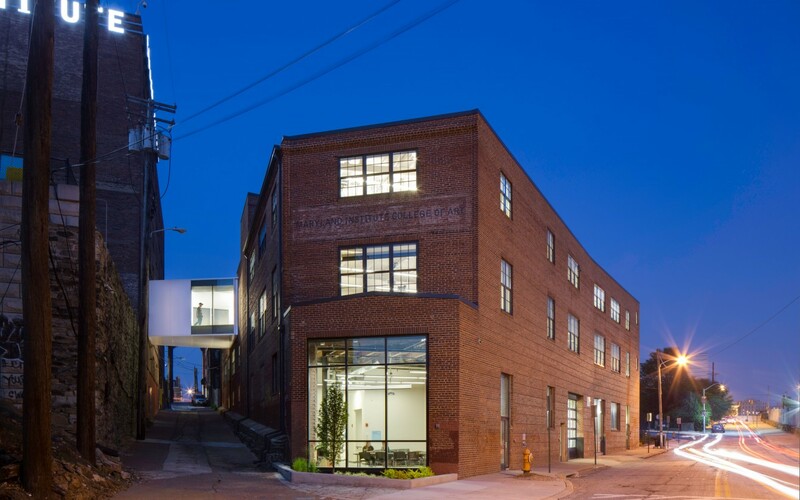 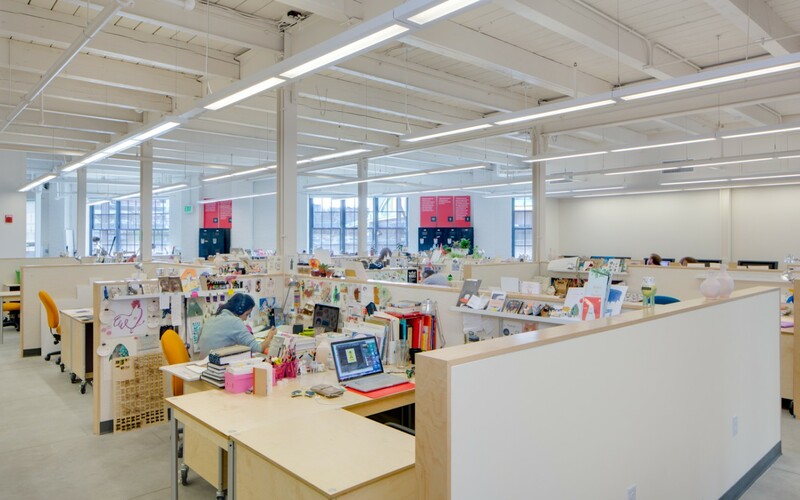 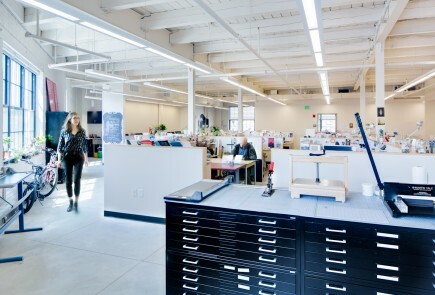 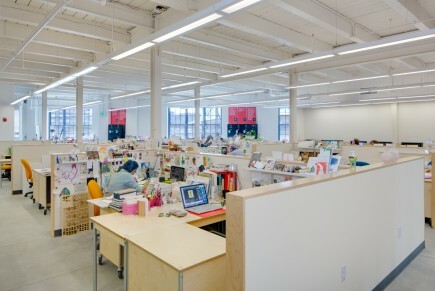 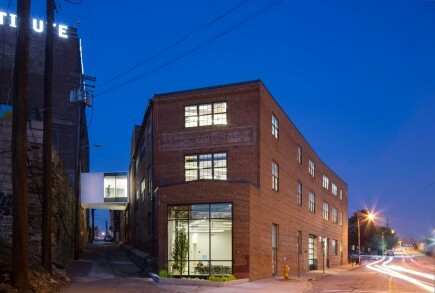 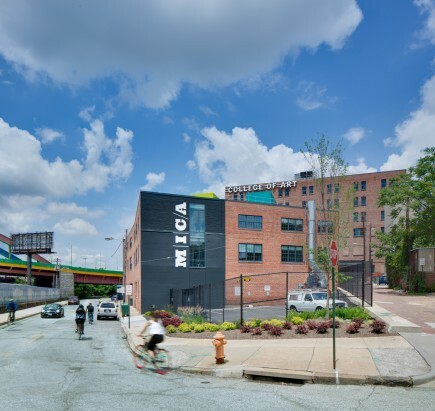 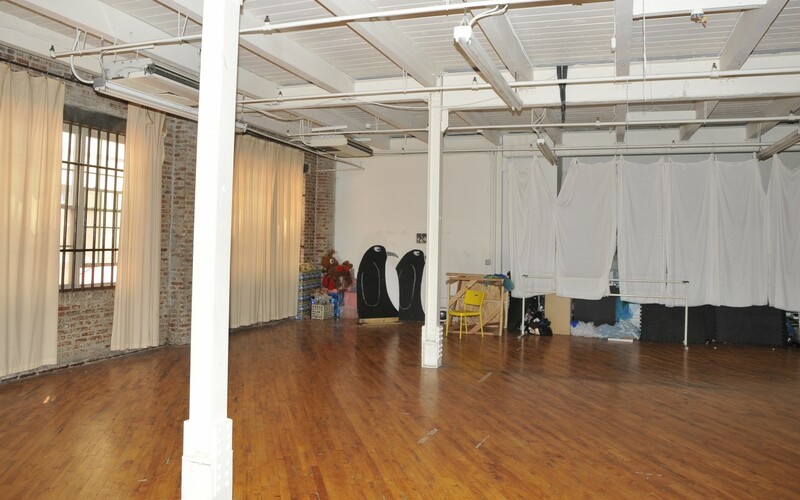 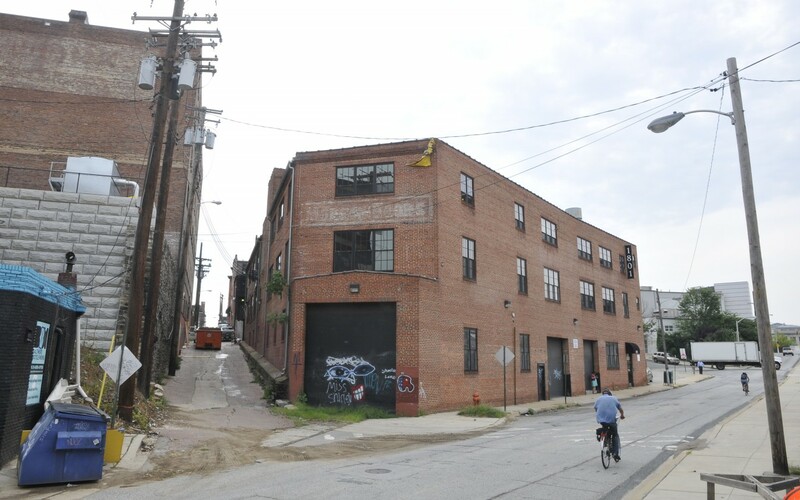 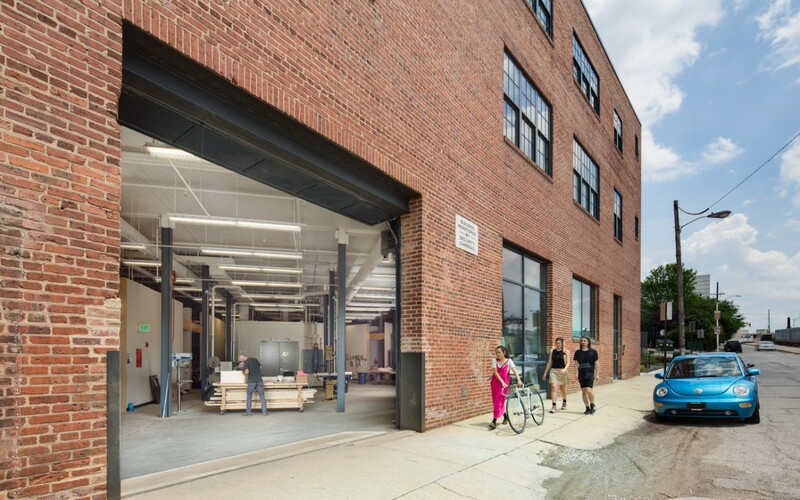 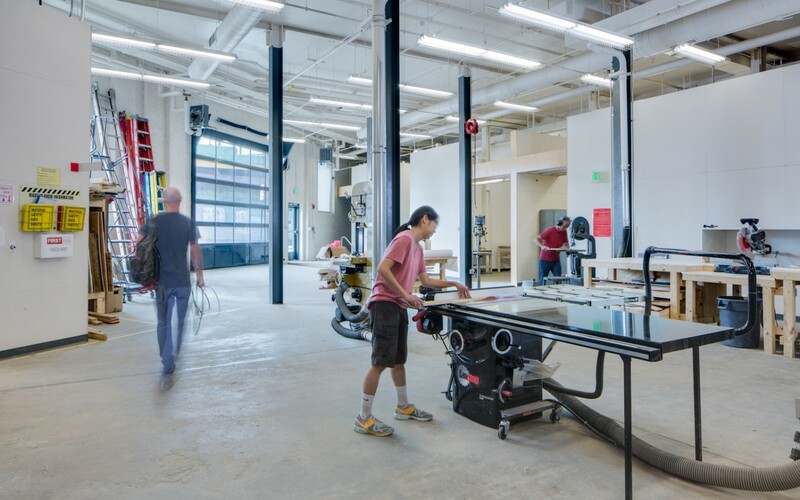 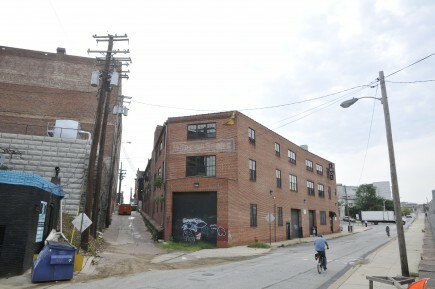 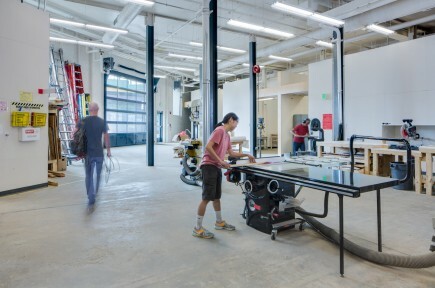 MICA’s consolidation of its graduate programming establishes an anchoring presence in the school’s neighboring Station North Arts & Entertainment District. 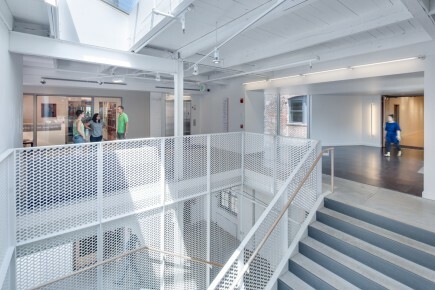 The graduate facilities now include a former millwork building that sits adjacent and below the school’s recently renovated Graduate Student Center. 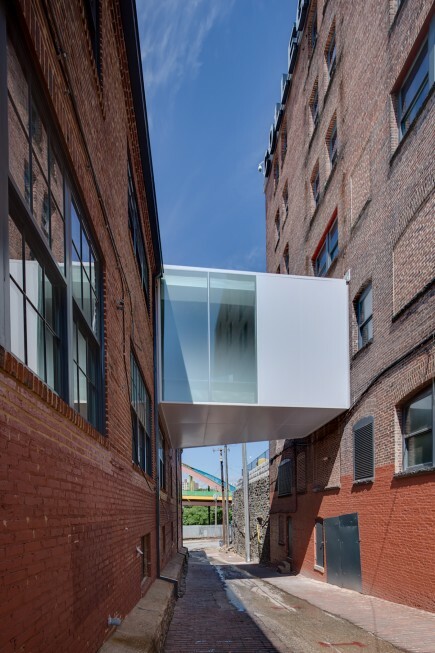 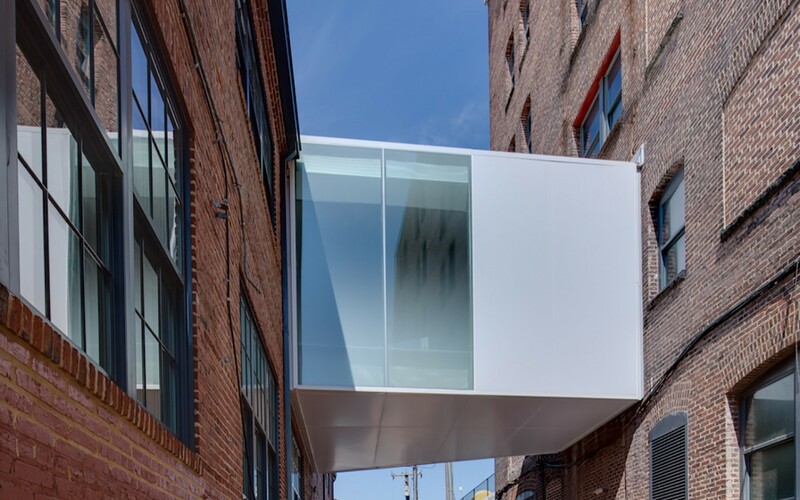 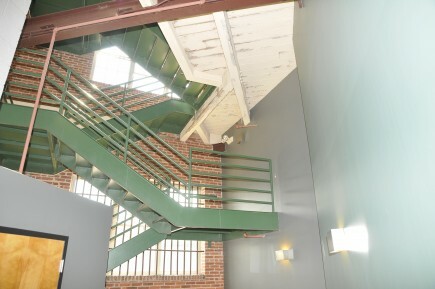 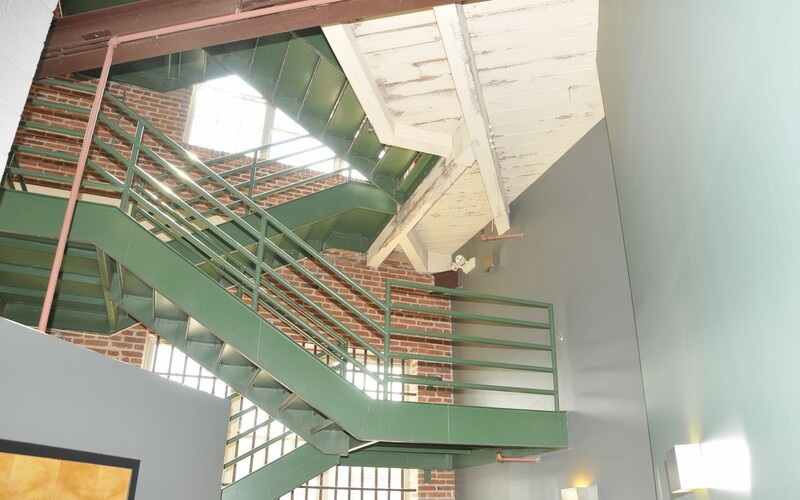 A new pedestrian bridge, envisioned as a glass box pinned between the two historic manufacturing buildings, allows students to cross over and connect to new classrooms, offices, and studios and creates an integrated and dynamic central hub for the Graduate programs. 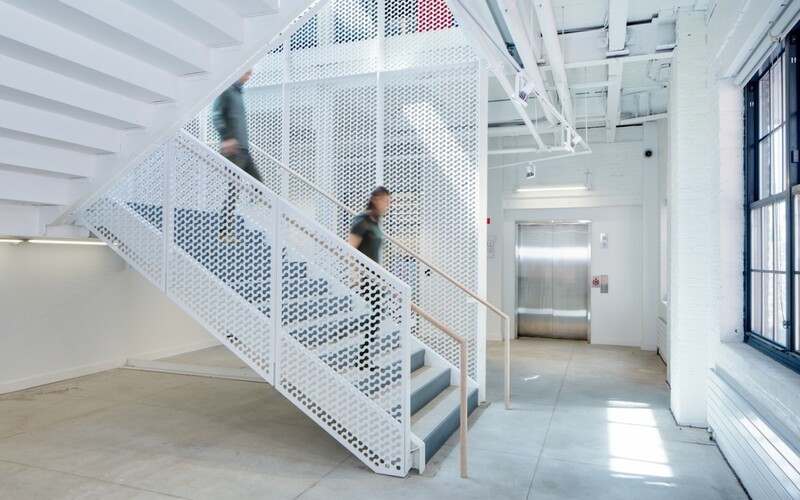 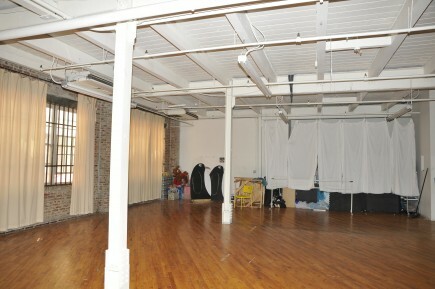 The building was originally designed to accommodate the curvature of a rail track into the building and resulted in a complicated fabric of existing spaces with an irregular column grid. 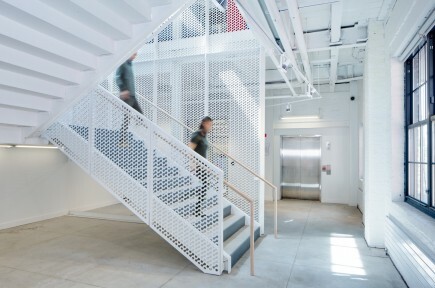 Core elements and circulation are anchored in the center of the building, allowing irregularities along the perimeter walls. 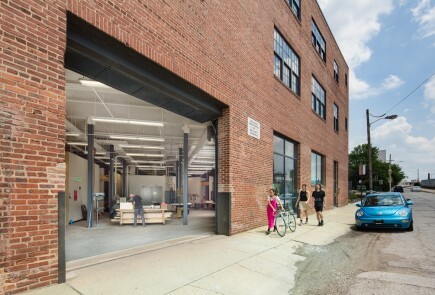 The design uses simple and clean masses to clearly distinguish modern interventions from the existing historic fabric. 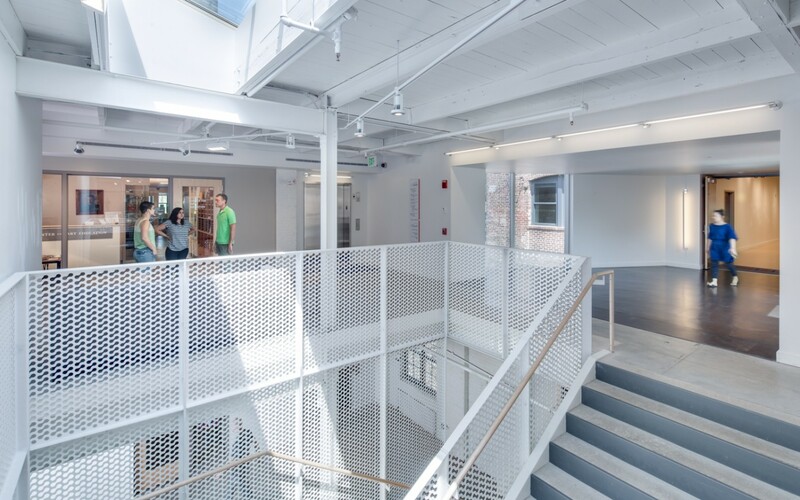 A new monumental skylight is introduced above the visually dramatic new circulating stair to bring natural light into the core of the building and interior glazing is used along the main corridors to allow the natural light to filter into the individual departments. 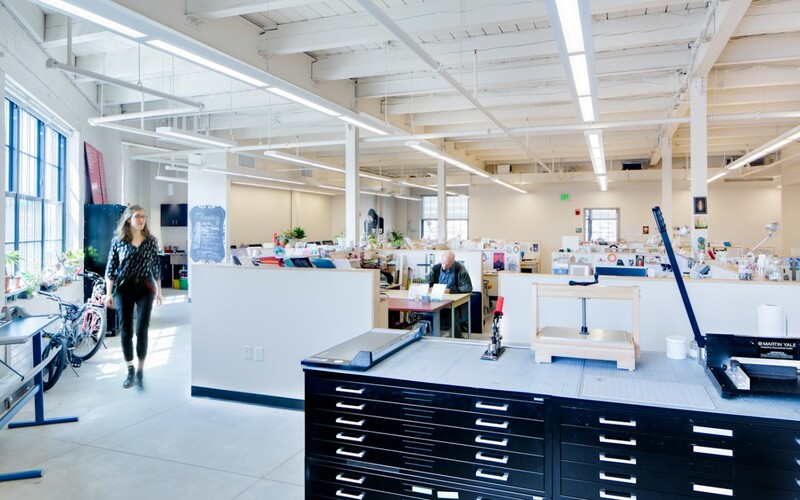 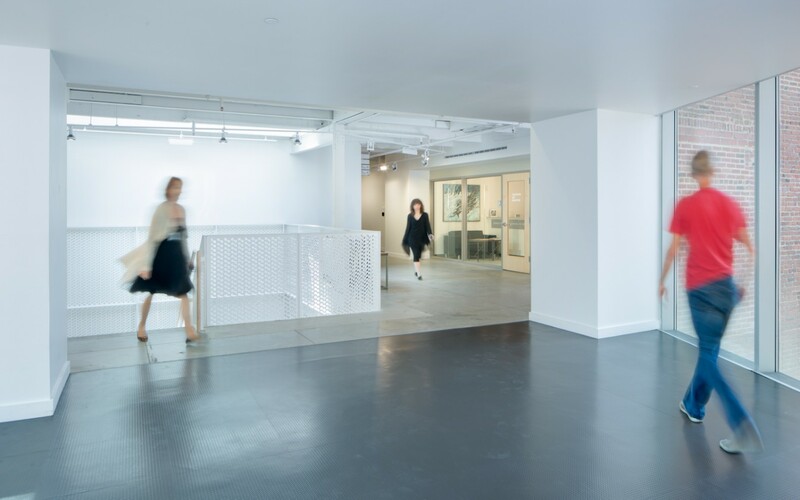 The renovated space is celebrated by its occupants for the quality of light and clarity of circulation and how both help to create collaborative and productive working environments.